For my third Digit-al Dozen Love and Heartbreak mani, I was going for dark and ominous. I didn't expect it to be quite so subtle! You have to squint to see the nail art...but I really do like it. 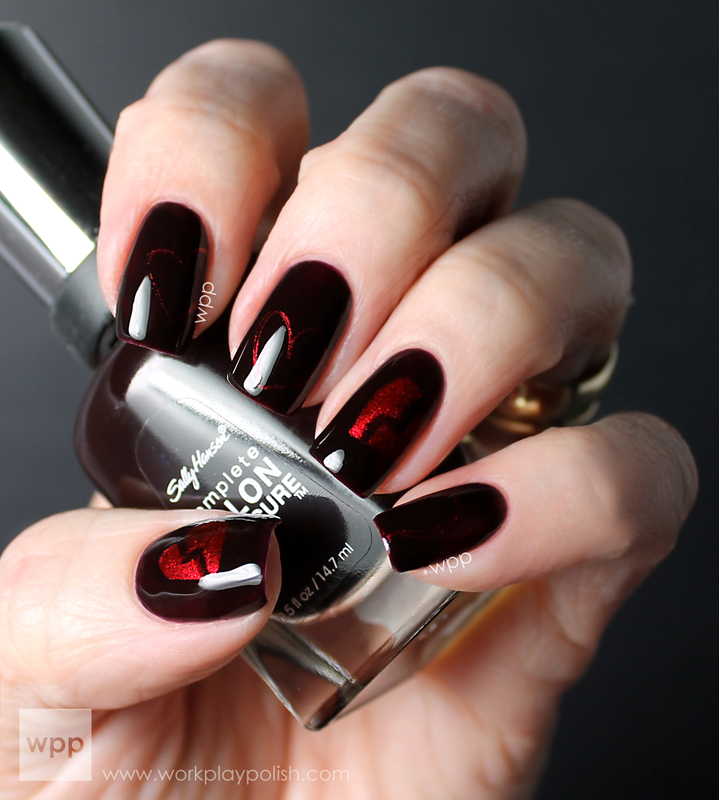 This is two coats of Sally Hansen Complete Salon Manicure Pat on the Black with a-england Perceval hearts. 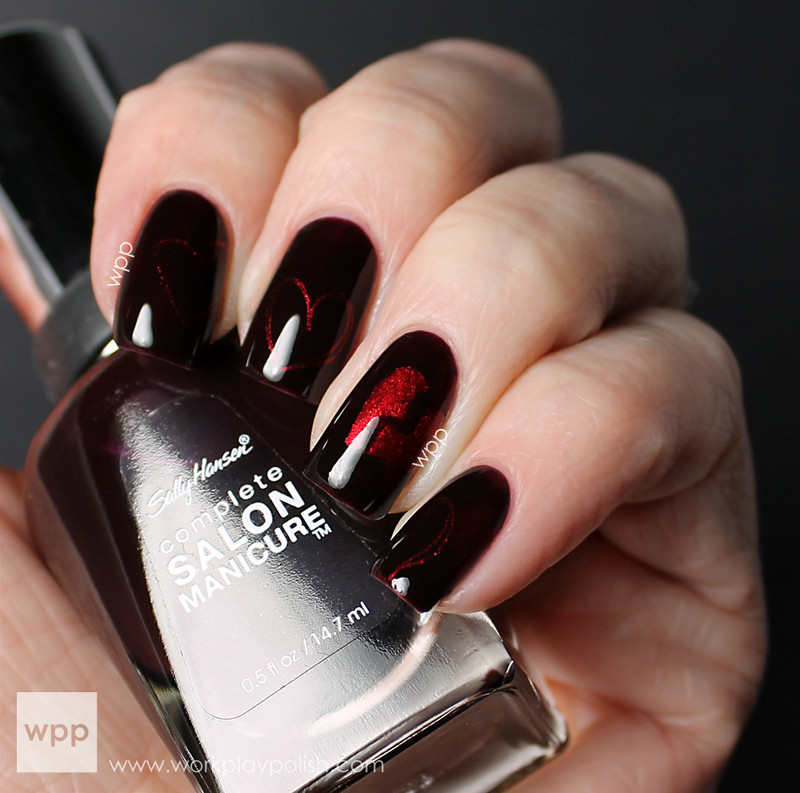 Pat on the Black is a super vampy burgundy/plum, almost black. Wow. GINORMOUS brush. I have really small nailbeds so normally I have trouble with large, pro brushes, but it was really easy. It was a bit streaky on the first coat, but opaque in two. If I wasn't doing nail art, I may have used a third coat. It's soooo shiny! I stamped the hearts in a-england Perceval with VL001. Then I filled in the stamp on the ring finger and thumb with Perceval. I went back in with Pat on the Black and "broke" the hearts. The final look is so undercover. It's a nice surprise when my nails hit the right light. Check out the other Digit-al Dozen manis!